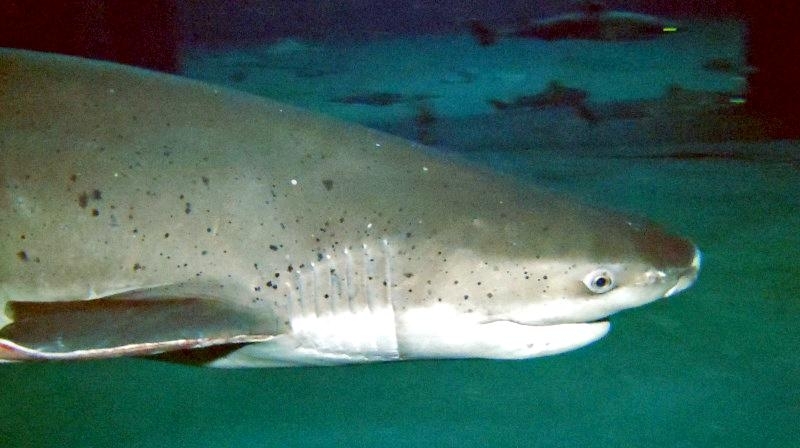 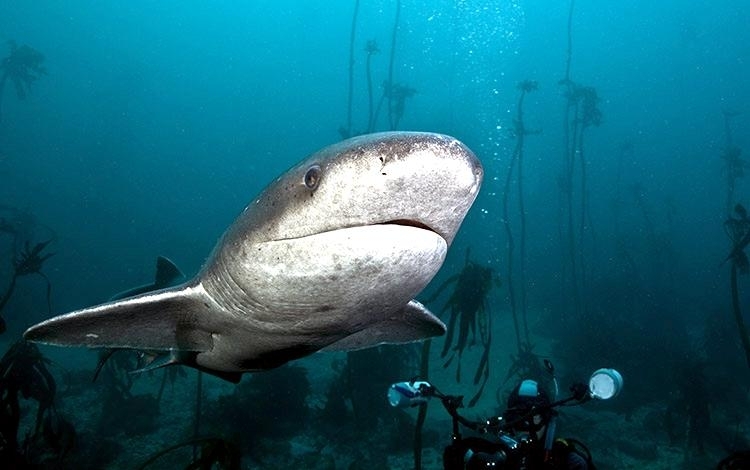 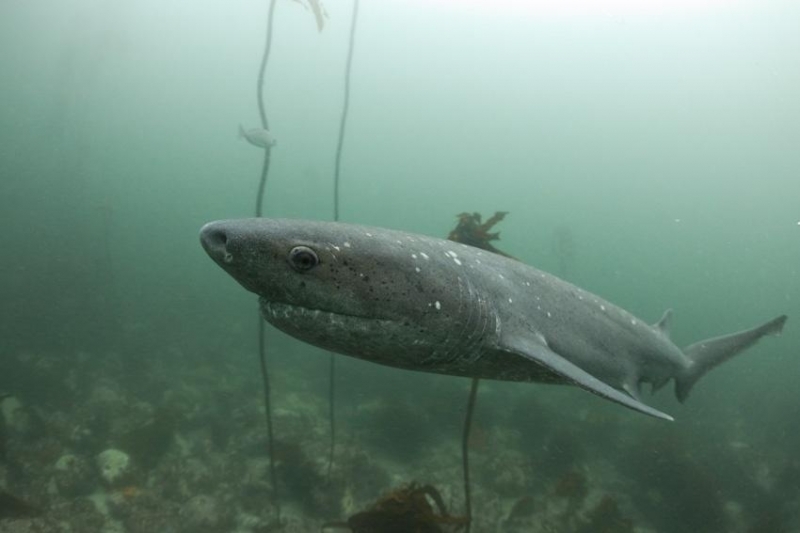 As its name suggests, a Sevengill Shark has 7 pairs of gill slits (most sharks have only 5). 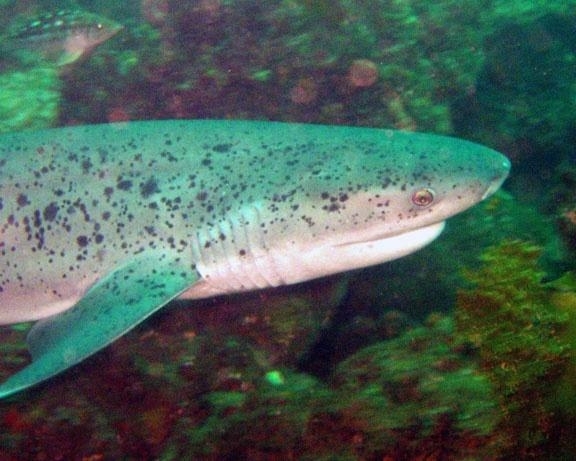 Its back and sides are reddish-brown to silvery gray or olive-brown and speckled with many small black spots. 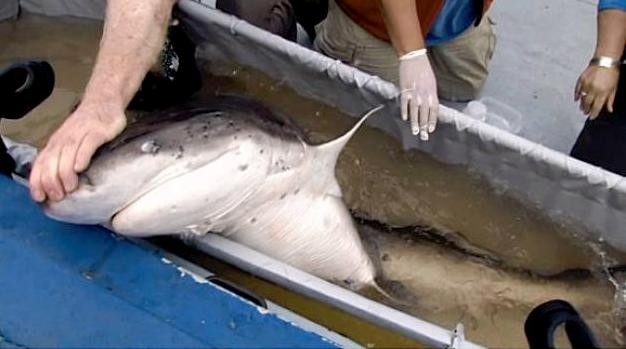 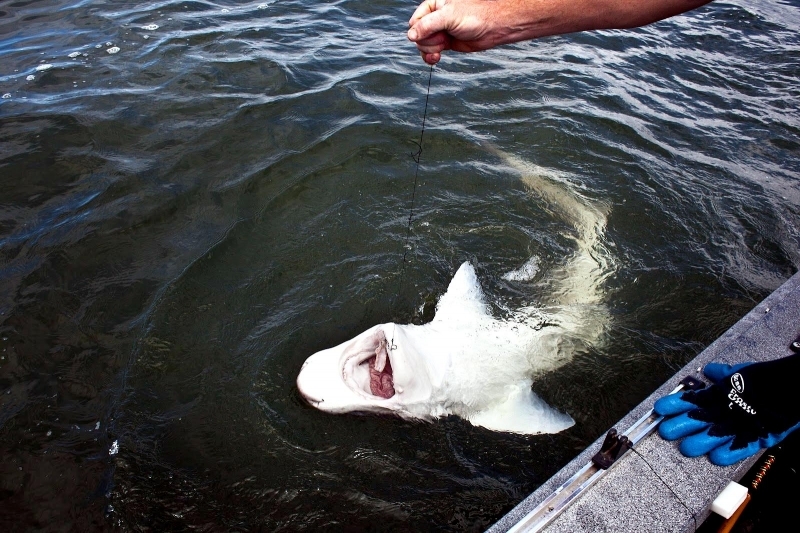 The shark’s underbelly is cream-colored. 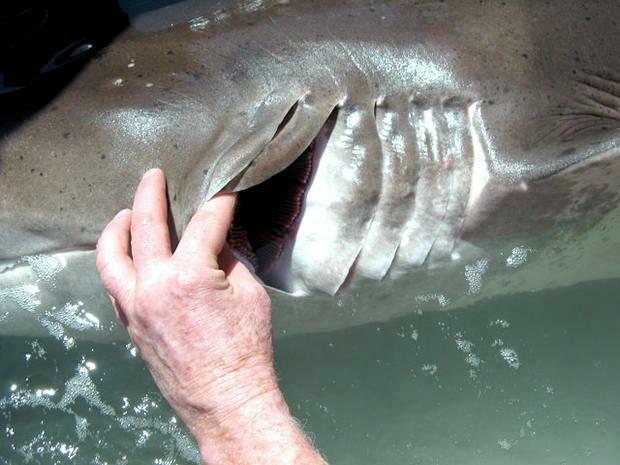 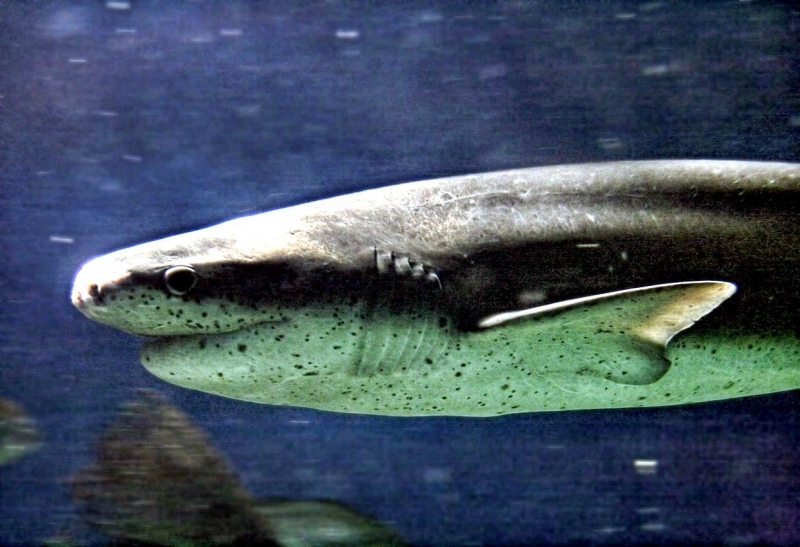 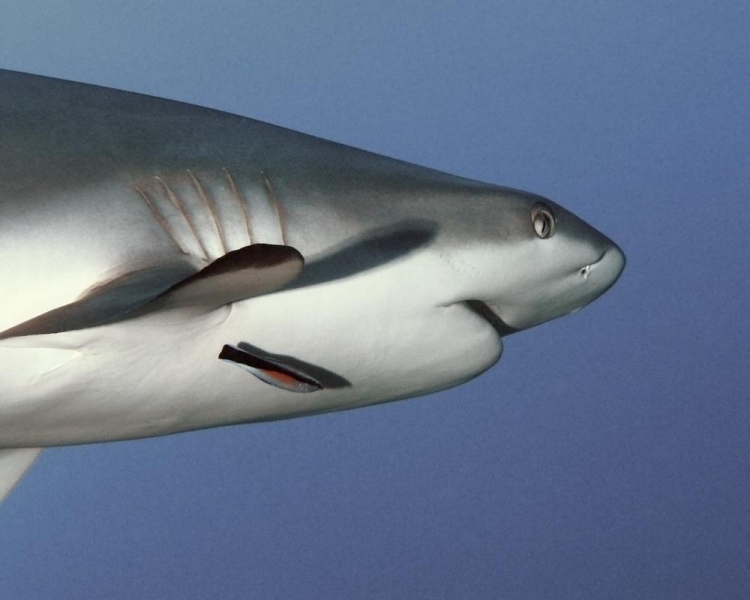 Other features include a wide head with a blunt nose and only one dorsal (top) fin—most sharks have two. 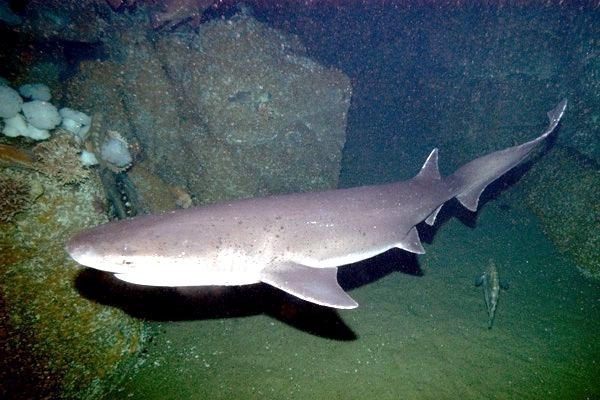 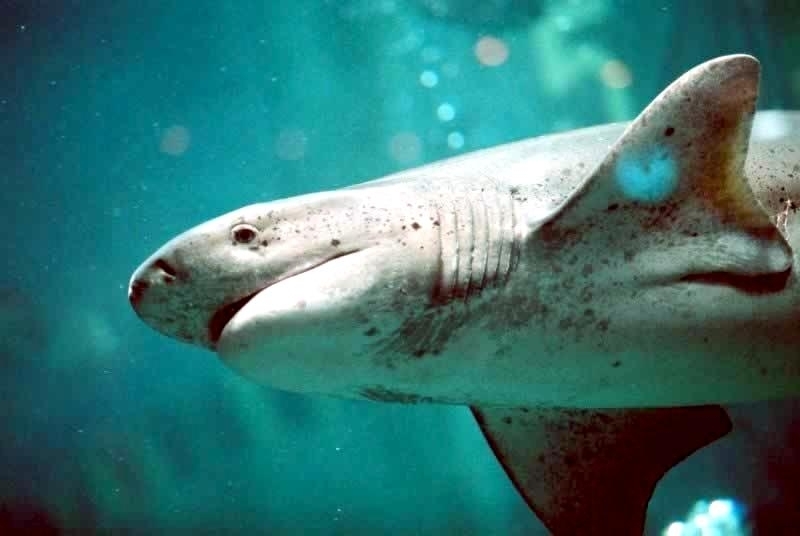 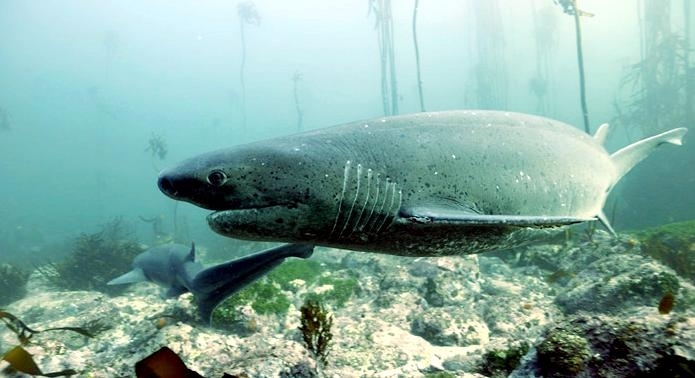 Sevengill Sharks on the hunt for food prefer prowling in shallow inshore waters, although they appear in deeper waters along the continental shelf. 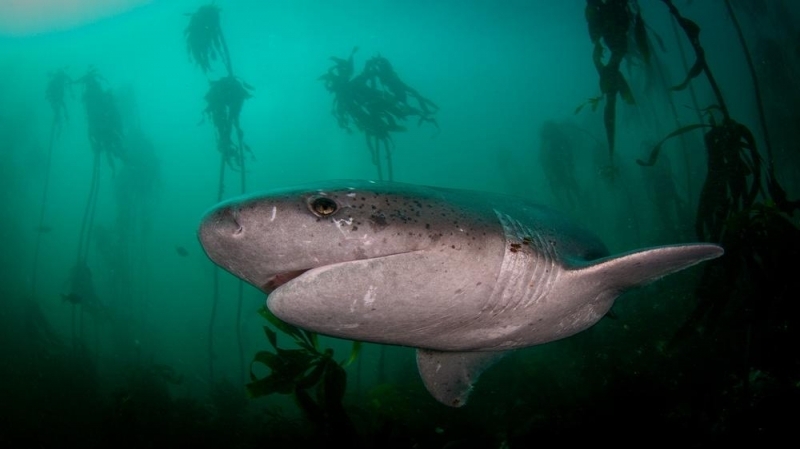 Sevengill Sharks aren’t fussy eaters—they prey on almost anything, including octopuses, rays, other sharks, bony fishes and carrion. 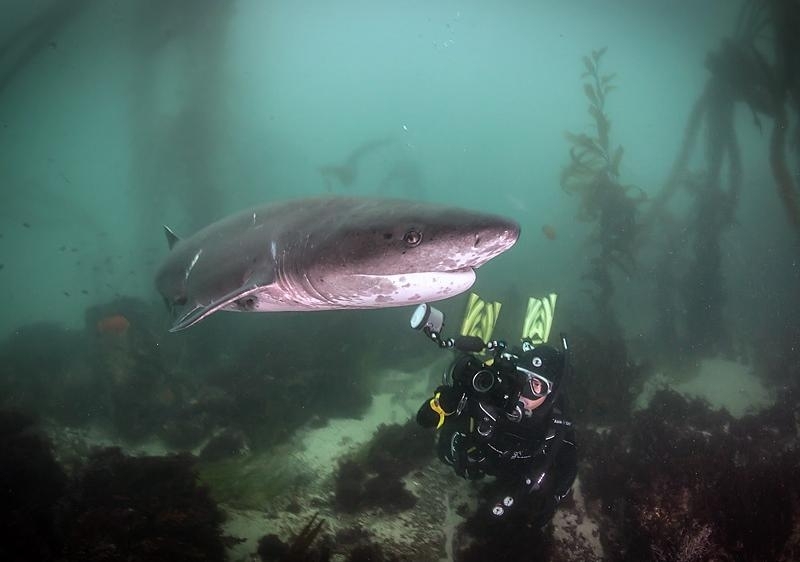 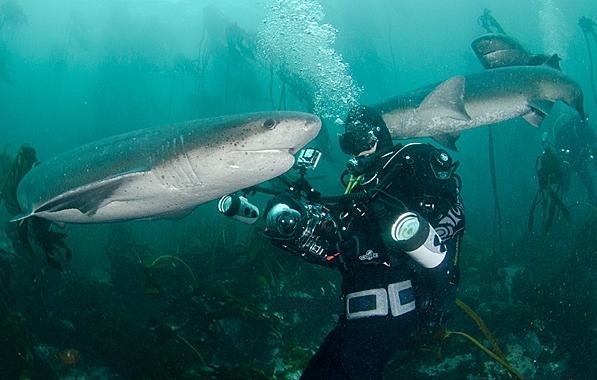 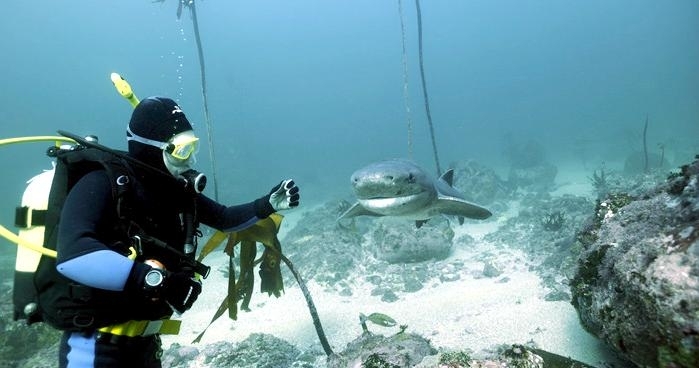 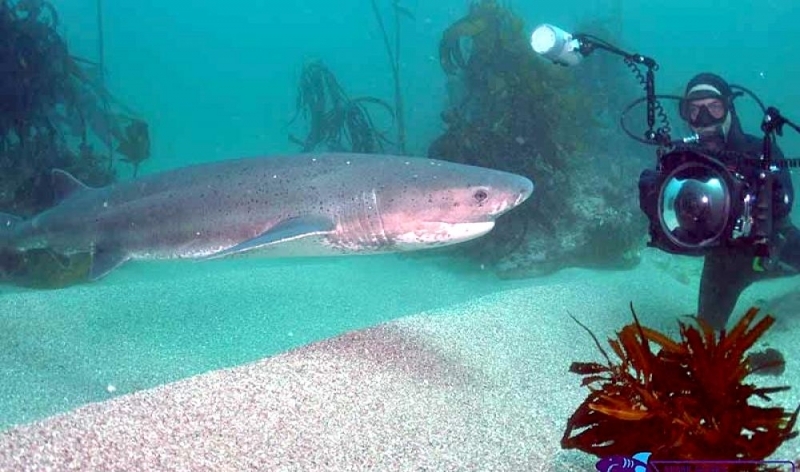 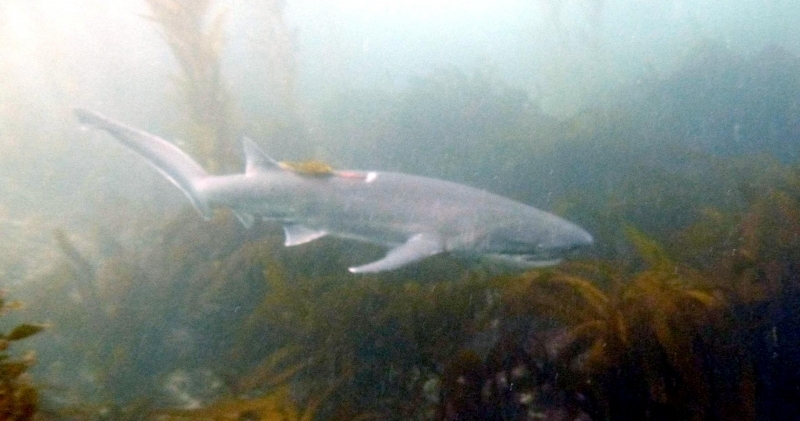 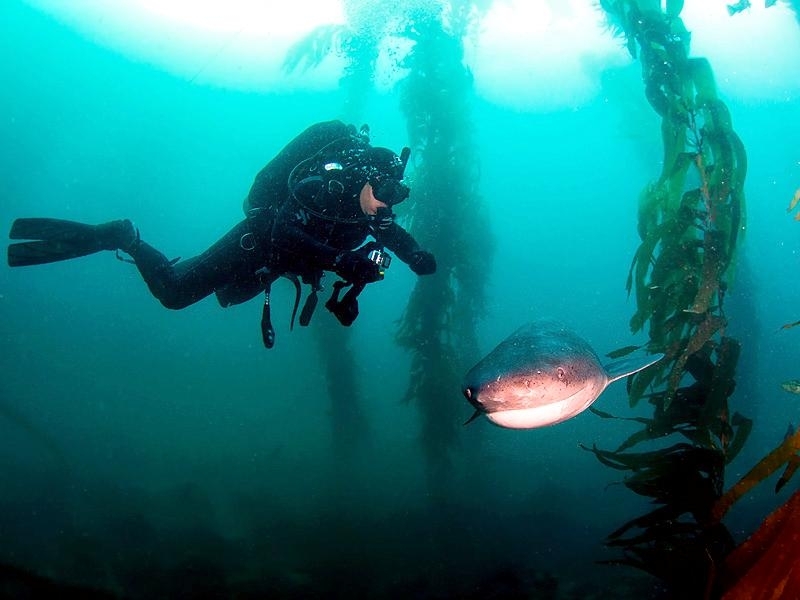 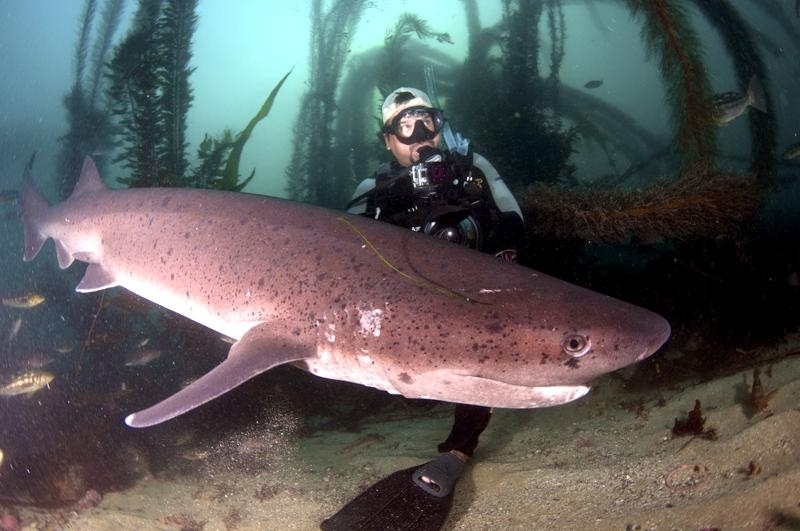 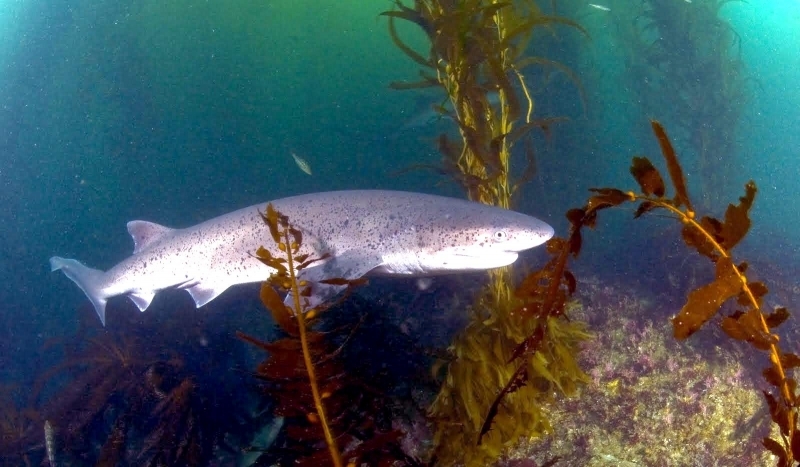 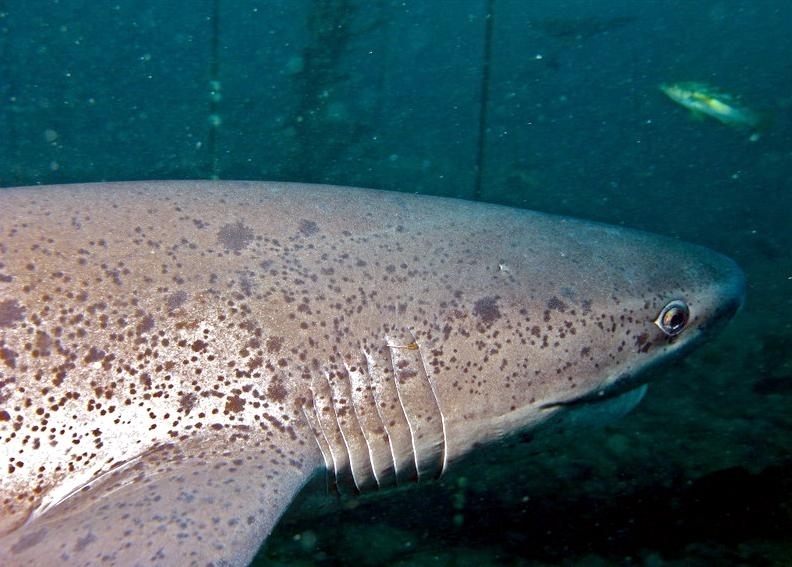 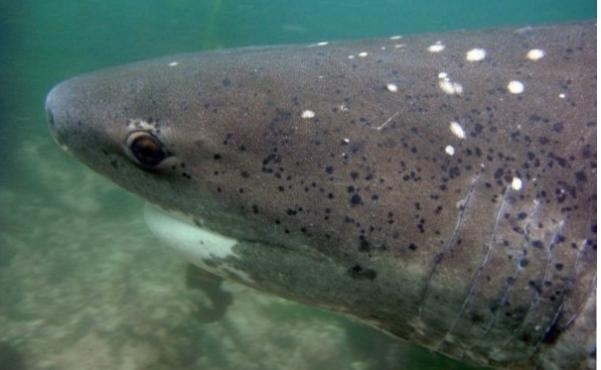 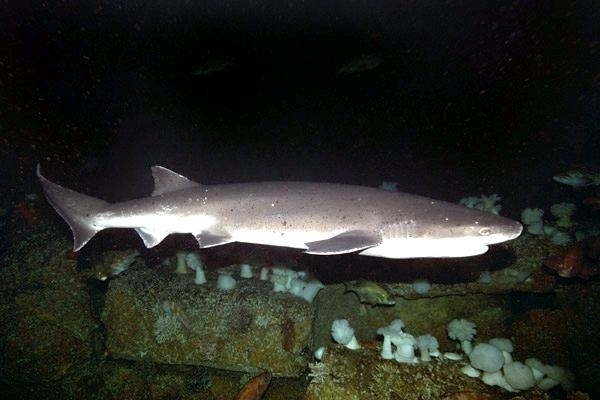 Observers have seen Sevengill Sharks in packs hunting for seals. 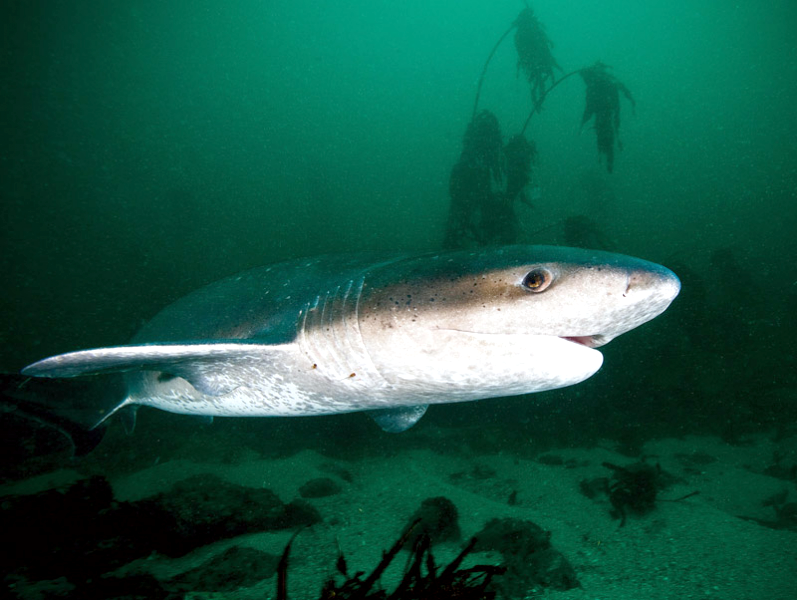 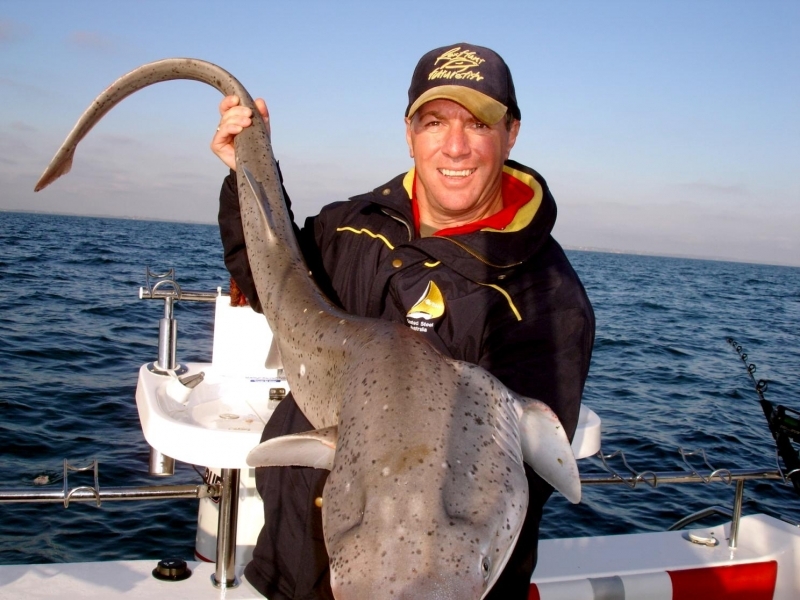 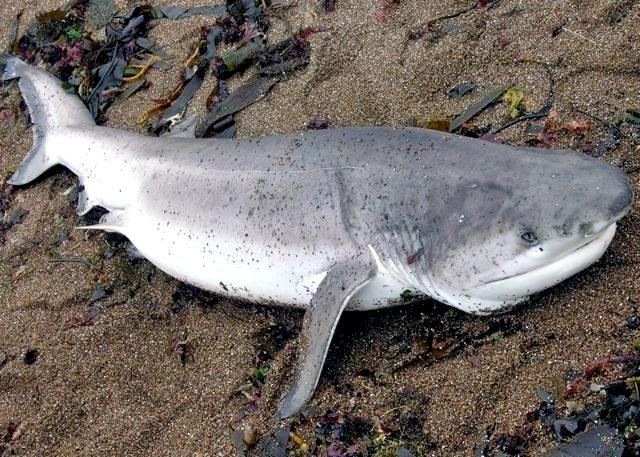 Sevengill Sharks live in heavily fished temperate waters and are an easy catch for inshore fisheries. 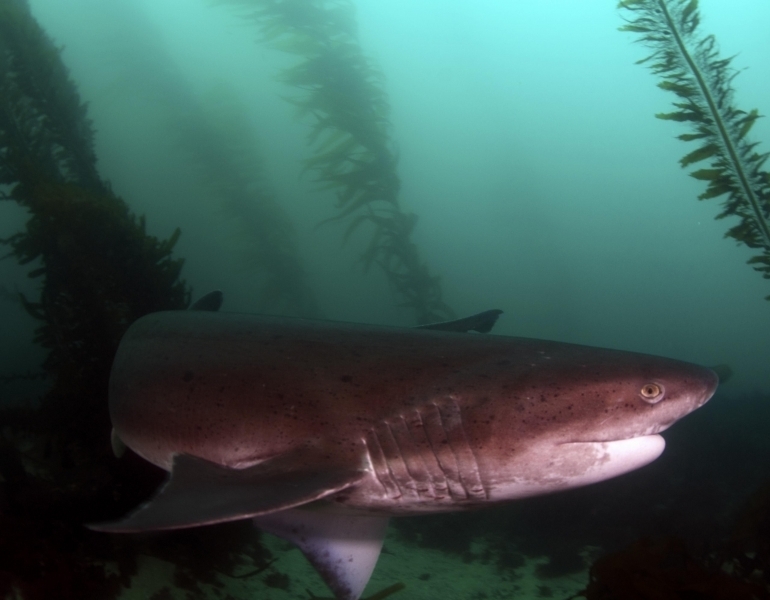 During the 1930’s and 1940’s, Sevengills valued for their liver oil, were over-fished in San Francisco Bay. 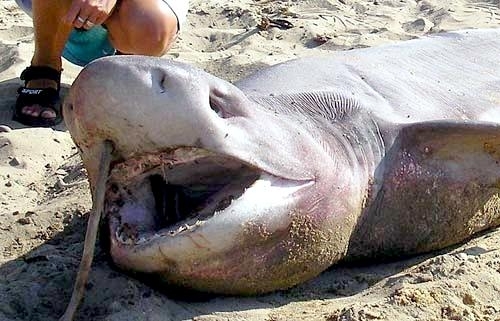 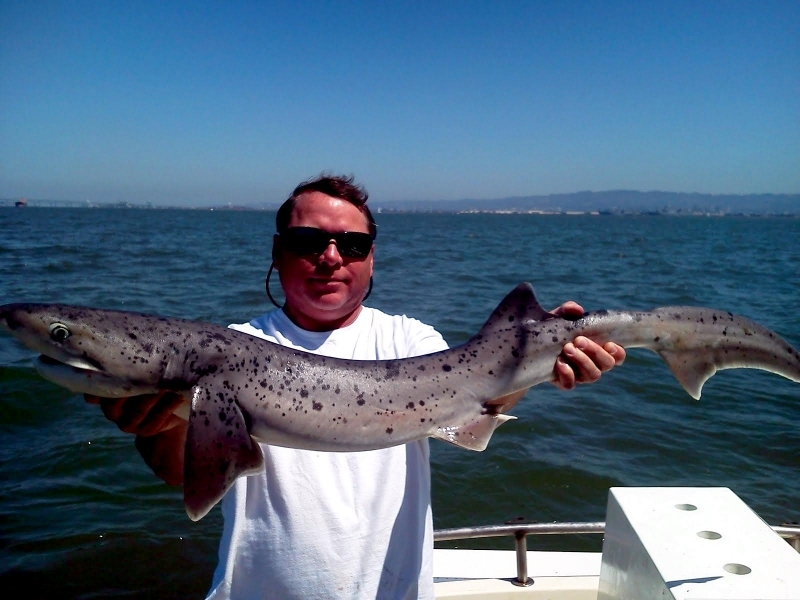 After the fishery collapsed, fishing competitions and commercial sport fishing depleted Sevengill Sharks in San Francisco Bay. 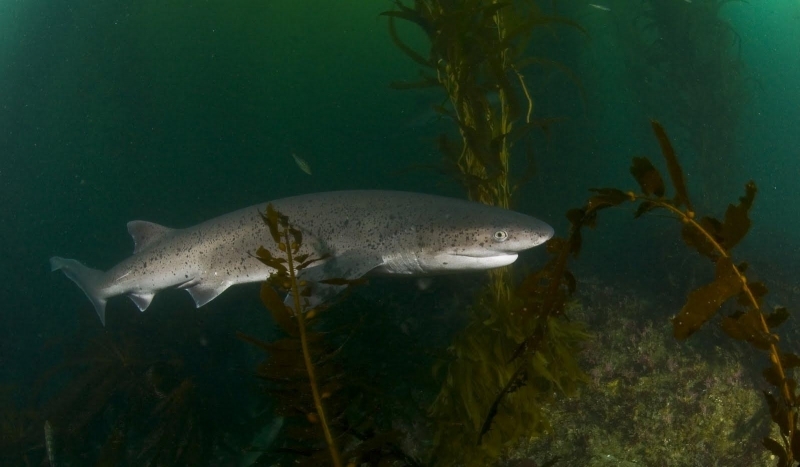 The lack of fishery data elsewhere makes it impossible to determine if Sevengills are depleted in other areas. 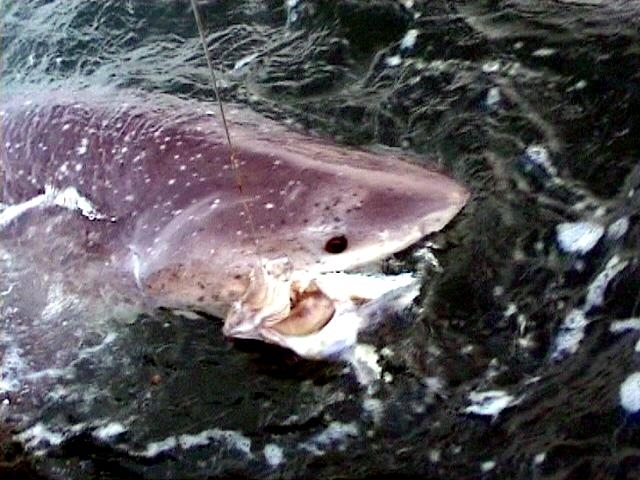 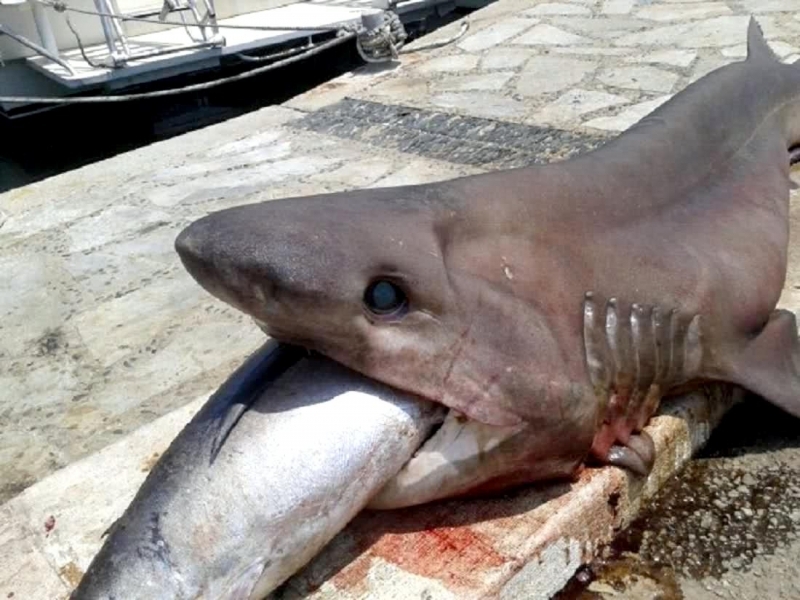 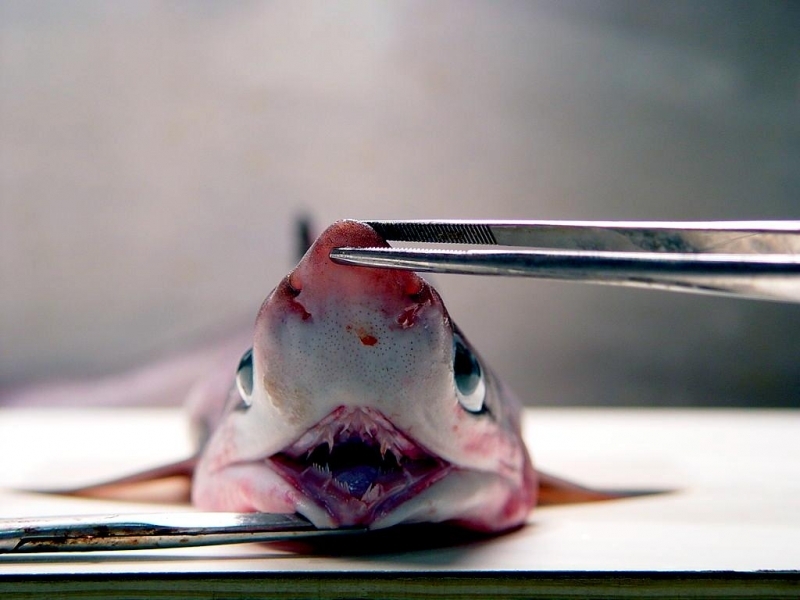 In Australia and the United States, both sport fishermen and commercial fisheries exploit Sevengill Sharks—the flesh is sold for human consumption. 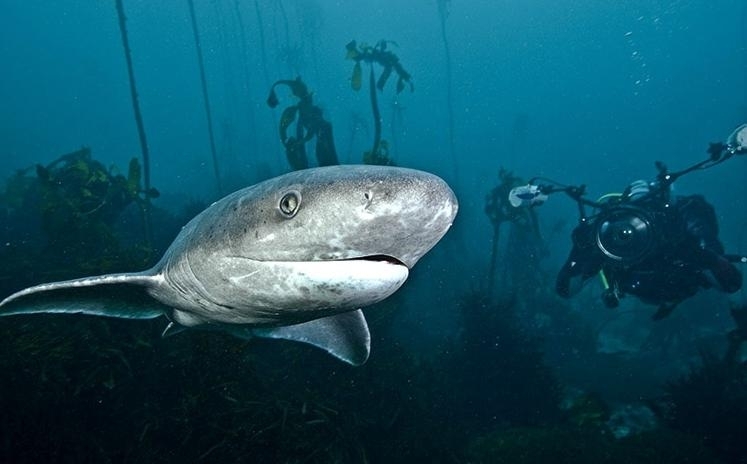 Chinese fisheries which also target Sevengills, supply the market for shark leather and liver oil. 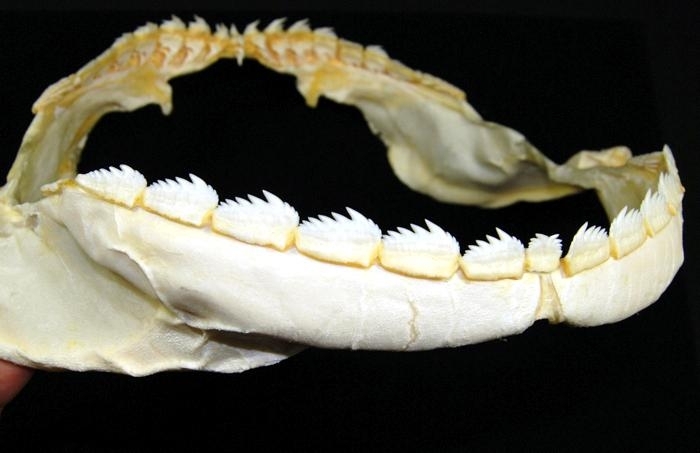 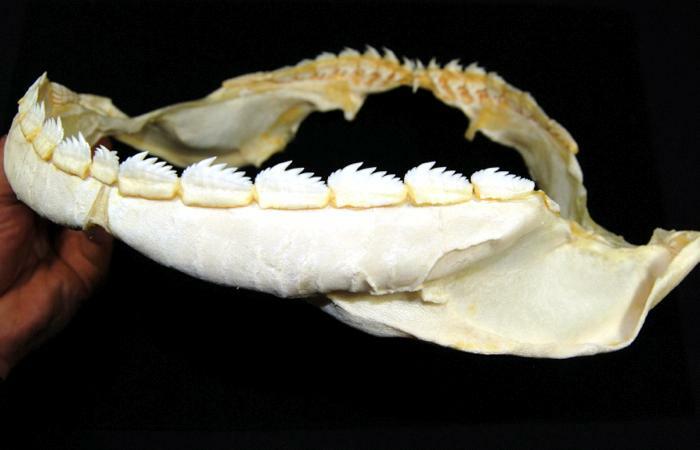 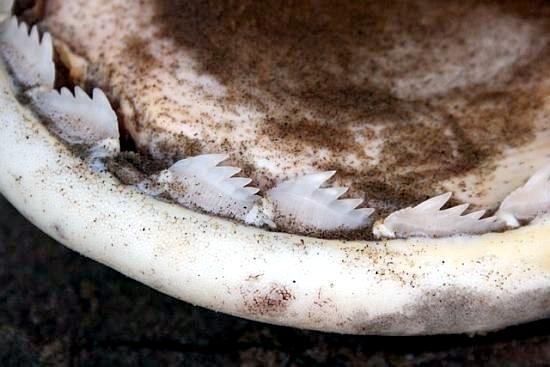 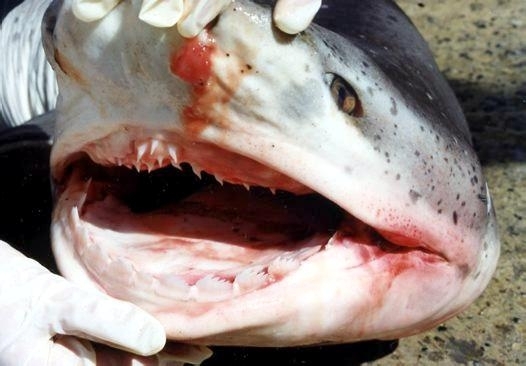 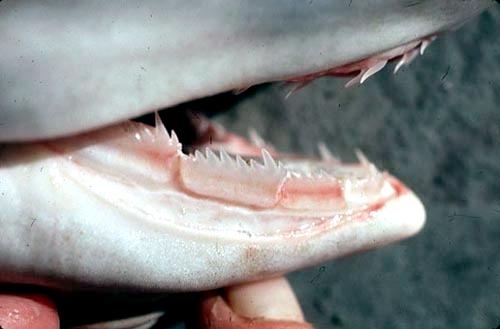 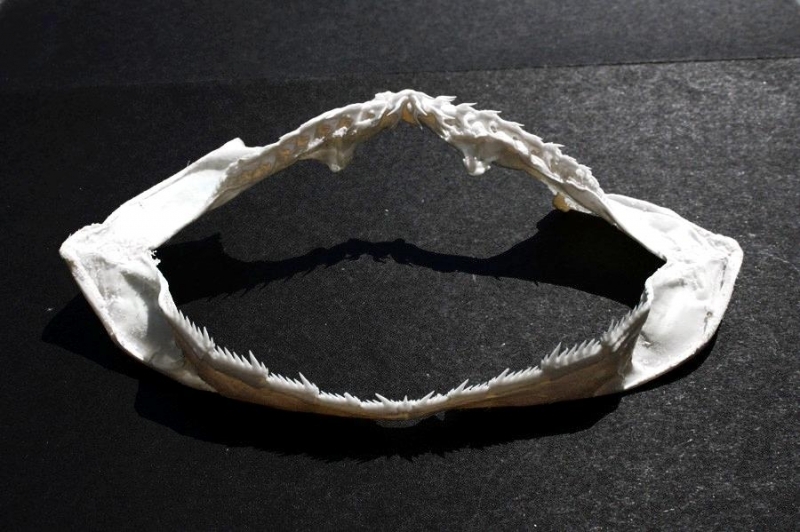 The teeth on this shark’s lower jaw are comb shaped, while the teeth in the upper jaw are jagged. 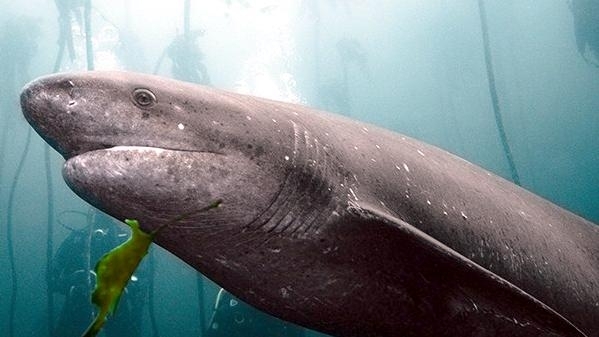 When biting large prey, the Sevengill Shark anchors its jaw with the lower teeth and then thrashes its head back and forth to saw off pieces of flesh with the upper teeth. 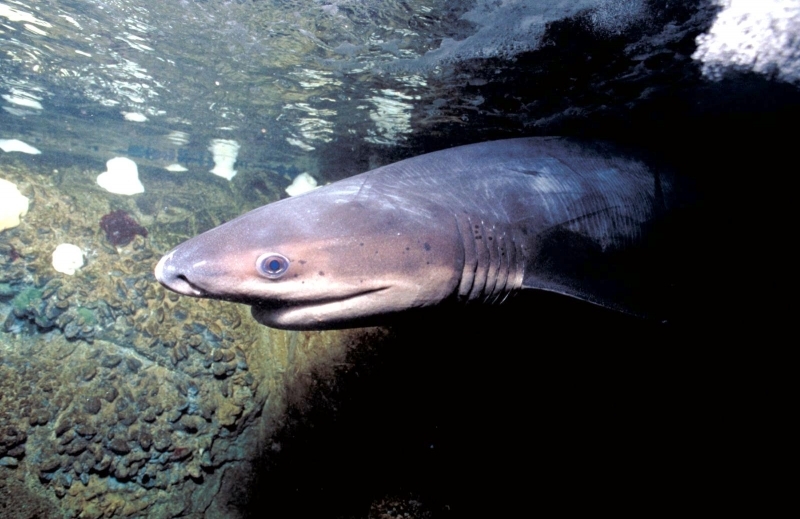 Although the Sevengill is a powerful swimmer that can be aggressive if provoked, there’s no record of humans being attacked in open water. 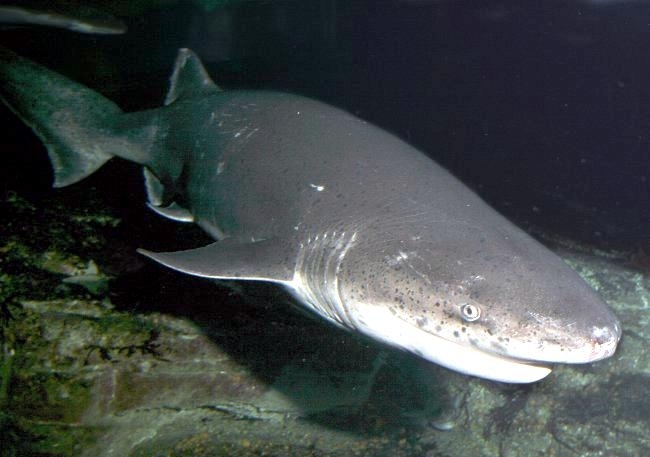 After a meal, this shark like all sharks slowly digests its food for many hours or days, allowing it to cruise for weeks without eating again. 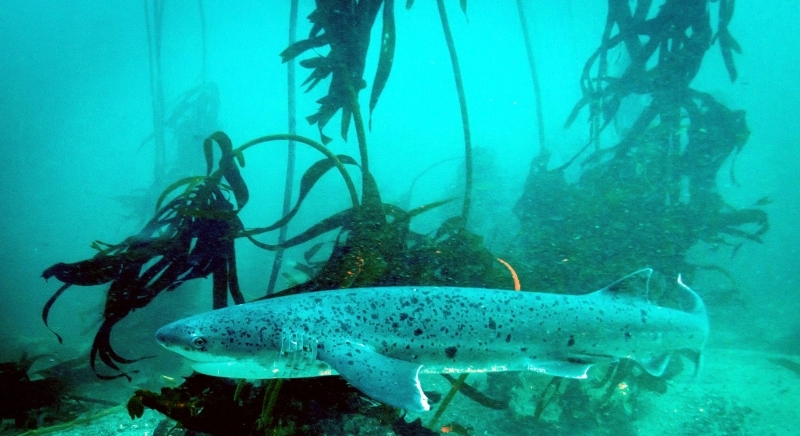 An adult Sevengill may eat as little as one-tenth of its body weight in food each month.